Irma M. Karch, 89 years, of Fremont died Sunday, March 24, 2019, at Dunklau Gardens surrounded by her family. Irma was born on Nov. 27, 1929, in Winnebago, Nebraska, to Amos and Edna (Baker) Lamson. Irma was raised in Macy, Nebraska, and attended Macy Public Schools. In 1947, she married Raymond A. Karch, and they moved to Fremont in 1953. Irma and Raymond had three daughters. She worked at the Nebraska Ordnance Plant in Mead during WWII, Campbell's Soup, and Fremont Keno Club. 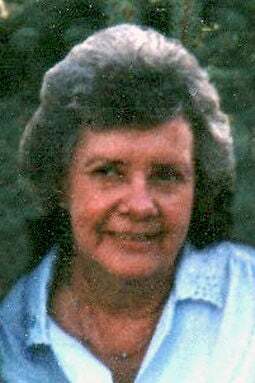 She enjoyed baking, trying new recipes, sewing, gardening, doing projects around the house with her husband, babysitting for her neighbors, and spending time with her grandchildren. Her faith kept her strong, grounded, and content throughout her entire life. She was preceded in death by her parents; eight brothers and sisters; husband, Raymond; daughter, Rox Anne Thramer; and granddaughter, Brandi Thramer. Survived by daughters, Sue Carlson and Terri Oliver; grandchildren, Dustin Thramer, Chevy (Amber) Carlson, Danny Karch, Willie Oliver, and Lacey Oliver; and great-grandchildren, Josh and Bentley Carlson, all of Fremont. There will be a celebration of life service at Moser Memorial Chapel in Fremont on April 13 at 11 a.m. with a reception to follow. Memorials may be directed to the family.